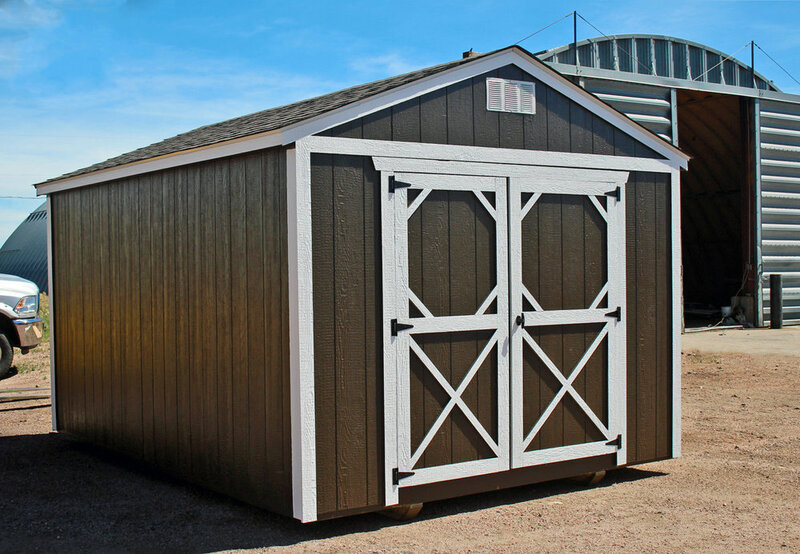 The utility shed features the industry standard gable roof and is available in 8, 10, 12 and 14 feet widths. 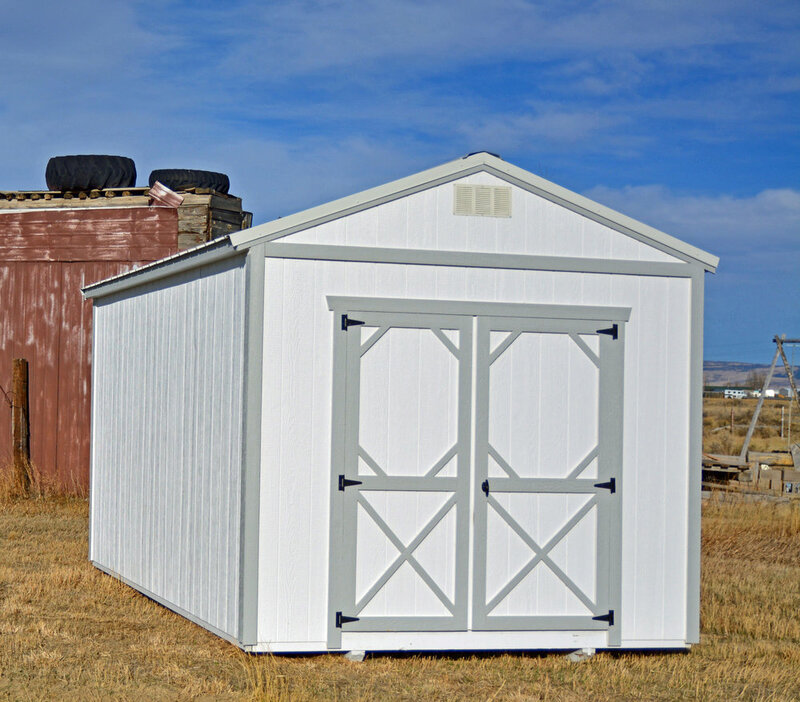 The standard 7’8” tall sidewalls can also be ordered with 6’3” sidewalls at no additional charge. 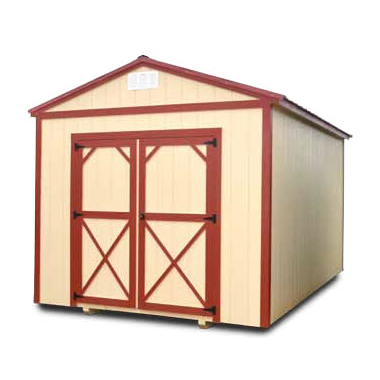 The 8ft wide version features a single wood door while the larger versions have double doors.